For leaders to invest in change management, they are required to understand the return they are getting for their investment. At The Project Foundry our change managers have the experience to know that change management has a profound and clear influence on the success of large transformation initiatives. 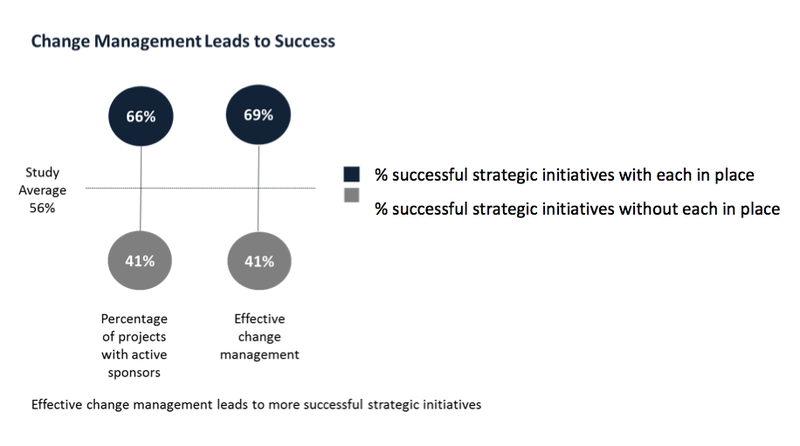 We are also aware that, in most organisations, it is not as clear how much of that success is attributable to change management. It is our contention that ROI for change is maximised in organisations that embrace quality, agility and maturity in their approach to managing change. Measuring ROI to maximise change effectiveness forms the basis for The Project Foundry’s change management model. Sustainable: Enables sustainable timely results by addressing the human factors impacting implementation.